In a sleek industrial green finish, this indoor-outdoor wall light hails from the John Timberland Urban Barn collection. From the Urban Barn collection by John Timberland, this indoor-outdoor wall light will add rustic charm to your living space. This fixture features a long, thin curving neck with a wide downlight shade attached to the end. A dark green finish makes it a colorful accent that enhances a contemporary or transitional setting. Inspired by industrial workplace and barn lighting designs. 13" high x 10" wide. Extends 13" from the wall. Weighs 1.89 lbs. Backplate is 6 1/2" wide. Shade is 10 1/4" wide x 5" high. Height from center of the mounting plate to top of fixture is 9 3/4". Indoor-outdoor gooseneck arm wall light from the Urban Barn collection by John Timberland. Green finish over steel construction. Wet location rated for outdoor use. Can also be used indoors. Like the transitional style and the whimsical green color. Backyard application. This light looks to be a good sturdy light that will be a nice accent for my barn. Looks great and reasonable price. Plan to put on front of garage under new car port. They will look nice on the fron of my garage. Farm/Industrial look is popular right now and the lights are a clean, simple design that provides light in an attractive package. Does this style light come with a motion sensor? BEST ANSWER: The Urban Barn Collection does not. But, I have added some other options below you may like. I did not install mine to be dimmed, but if the bulb used is dimmable it should work fine. I use LED bulbs and love the lights. Do you have any photo-metrics on this light? BEST ANSWER: Hi - the photo-metrics will really depend on the bulb light source that you use. This design can use a wide range of bulbs, from incandescents to CFLs and LEDs. For example, if you use the recommended LED bulb with this design, it is rated at 1600 lumens and has a color temperature of 2700K and a CRI rating of 80 CRI. Beyond what is listed above, the more technical aspects of photo-metrics are measurements-info that we don't have. Does this fixture support LED bulbs? 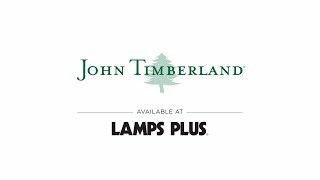 BEST ANSWER: Yes, this fixture supports LED bulbs with a standard base and that are equivalent to a maximum of 100 watts. Product is exactly as pictured. It arrived on time. Very happy with the light. Chic barn-style outdoor lighting can be energy-efficientas in this beautiful brushed aluminum outdoor LED wall light with a rain glass lens. Update your home&#39;s exterior with the traditional look and modern energy savings of this brushed aluminum LED outdoor wall light. Inspired by classic lantern designsthis black outdoor wall light will add a handsome look to your porch or patio. A brushed steel warehouse style shade adds a touch of nostalgia to this industrial medium outdoor wall light.